Getting 3 players sent off in 3 Premier League games. Off course we got to the group stages of the Champions League and did show some of that much talked about mental strength in the second half in Udine but there was not much to get excited about in the month of August. Overall, August was one of the worst months I can remember as a supporter of the club in recent years but now the month is over and five new faces have come in, I will move on. September starts with us welcoming Chu-Young, Santos, Mertesacker, Yossi and Arteta to our club and I am happy we have them here. You have 2 captains of their national side along with a club captain and all five are over the age of 26. You could say that is exactly what people were asking for. 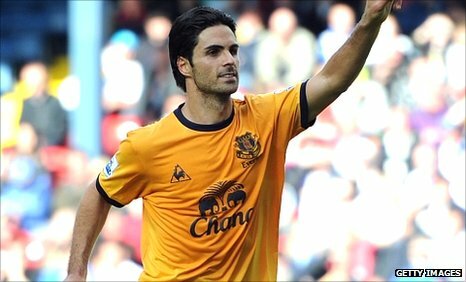 The signings do not give you the ‘wow’ factor (however some would argue that Mrs Arteta may) but the players are here to improve the squad. Anyone that went to the game on Sunday or even watched it on TV will have felt very low. I remember looking at the guy in front of me when the subs were read out and we both felt there was no one that could change a game (some will do more then that in the future but are not ready yet) or even help us see out a lead if we got one. Yossi may not be the spectacular signing we wanted but can do a good job when called upon. 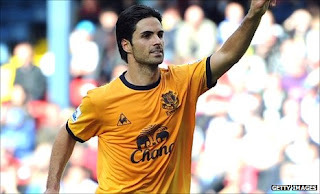 The signings of Arteta and Mertesacker are vital. Arteta will give that level of creativity and experience in the centre of the park and Mertesacker will give that much needed height (how many goals came from set pieces again?) and experience. People are quick to tell me he is on the slow side and he may well be but having received very few yellow cards in around 200 appearances tells me he is a good reader of the game. Onwards and upwards from now; the squad is by no means complete and work in January may need to be done but I feel a lot more positive then I did on the M6 on Sunday at about 8pm. Now for an injury free international week and bring on Swansea. Come on you Arsenal. ! That's right. we all need to be positive and united from now on, the whole club. the team looks better and our season starts with swansea. i hope those supporters organizing a demo don't go ahead coz i dont see how that will help the team. like u said, onwards and upwards now. thanks Sam. glad you agree.